Riversand’s MDM software helps forward-thinking companies discover the value of their data and make smarter business decisions. Master data is all non-transactional data within an enterprise – for example, customers, products, materials and locations. It serves as a foundation for businesses to build analytical capabilities and more effectively manage operations. An MDM platform allows businesses to manage, govern and analyze all of their master data within a single platform. This helps them develop new insights about their business, have confidence in data quality, increase productivity and improve the customer experience. Riversand’s Product Master Domain provides businesses with a high-scale, enterprise grade solution that enables businesses to manage, govern and analyze their product information. By leveraging a best-in-class PIM solution, they are able to go beyond the basics of product information management – developing highly collaborative and efficient digital supply chains. reducing manual processes, moving products to market faster and delivering exceptional customer experiences. Knowing your customer helps you to push the right content through the right channel at the right time in your customer’s purchase lifecycle. A customer master solution enables you to understand and adapt to evolving customer needs and analyze and nurture customer relationships for both B2B and B2C contexts. 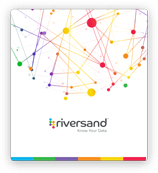 Riversand’s MDM platform manages vendor data alongside product and customer data. You can maintain relationships between customer, vendor and product domains on a single platform by standardizing the vendor creation process across brands and geographies. Enrich vendor data through address verification and maintain the Tax Jurisdiction Code by integrating with third-party providers. Update SKU information across the supply chain and maintain relevant information for each market through the Riversand MDM platform. Manage the process of item creation at the levels of Market FG, Plant SKU, API and Packager SKU. Key capabilities include: introducing a new product into a specific market, connecting a finished good to a packaging SKU and enabling information onboarding in acquisition scenarios (M&A). A powerful data visualization solution that enables you to understand and realize the potential of your master data in a multi-domain world. Use it to easily perform advanced data analysis. Visualize your data in a range of beautiful charts, tables and dashboards. Key capabilities include unearthing hidden correlations and advanced entity introspection.